Termites exist in almost every part of the world, except for freezing climates. These tiny little insects eat wood all the time and cause a lot of damage in their wake. If your home has termites, you may not know it until they have caused thousands of dollars in damages. To avoid these problems, you need to know the signs you have termites in your home. What are the Signs You Have Termites to Look For? Detecting termites early will help keep the amount of damage done to a minimum. Here are seven signs you have termites in your home. Like any other animal, termites leave droppings. Also known as frass, these droppings look like wood-colored sawdust pellets. They are often found in a small pile at the bottom of a wall or along a windowsill. As termites burrow through wood, the wood tends to warp. When it happens around the frame of doors or windows, it can tighten the seal around those openings and make them hard to open or shut. If you find the wood around a door or window is warped, you may have termites in your home. Termites periodically emerge from their nests to mate and find new nesting sites. They grow wings and fly out to meet potential mates. After they mate, they discard their wings. If you see discarded wings on your window sills or on the floor, it is one of the common signs you have termites in your home. Termites do not like to travel in the light or in dry environments. They build mud tubes along hard surfaces to give them protection from the light and to bring moisture along the trail. Walk around your home’s foundation, and if you see mud tubes, you may have found the termite’s highway into your home. Termites don’t eat from the outside in. They start chewing into the wood and form tunnels into the heart of the piece. They eat it from the inside out. You may find studs in your wall or pieces of wood flooring that look normal on the surface but are hollow on the inside. Hollow wood is a classic sign of termite infestation. Worker termites actually knock their heads into the wood while they are excavating and eating the wood. When termites are eating a stud in your wall, you can hear the sound of movement through the wall. If you are hearing odd noises in your walls, you may have wood gnawing insects in your home. Since termites eat wood from the inside out, they often eat through the surface of the wood and hit a layer of paint. You don’t see the underside of this, but you may see a bubble of paint forming. Bubbles of paint usually mean one of two things: termites or moist wood. Both of those are things you need to address quickly. 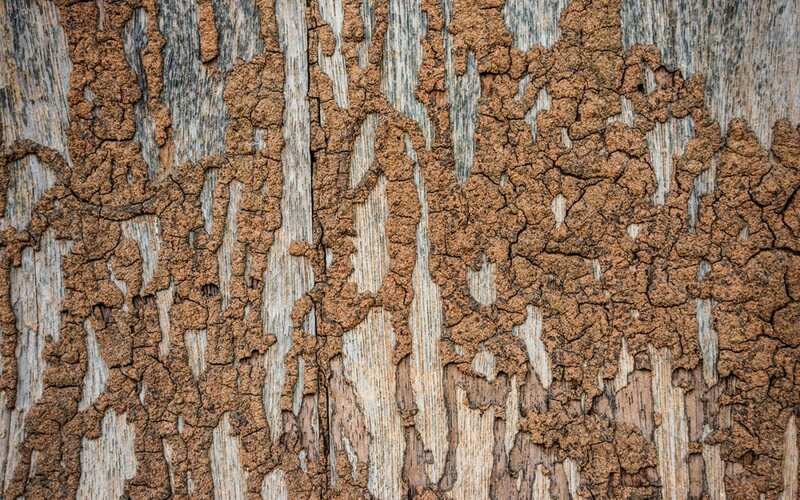 These are the most common signs you have termites. If you suspect your home has been invaded by these tiny insects, you should get a termite inspection as soon as possible. Inspect It Neil Home Inspections provides Wood Destroying Insect Inspections and other home inspection services to New Jersey. Contact us to book your appointment.